1. The Aluminum Alloy Automatic Loading folding stretcher for ambulance is made of high-strength aluminum alloy thick-wall pipes. 2. Soft foamed cushion surface with adjustable backrest, making the wounded feel comfortable. 3. Easy to handle, one person is enough to send the patient (with this Aluminum Alloy Automatic Loading folding stretcher for ambulance) to the ambulance car. 4. 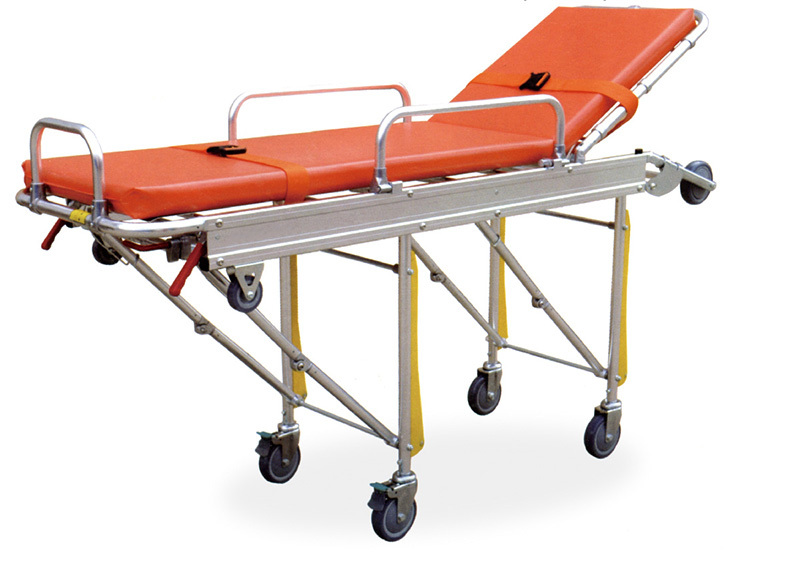 Foldaway legs, controlled by the handles on both ends of the Aluminum Alloy Automatic Loading folding stretcher for ambulance. 5. Fixing devices make the Aluminum Alloy Automatic Loading folding stretcher for ambulance locked when on the ambulance car. 6. 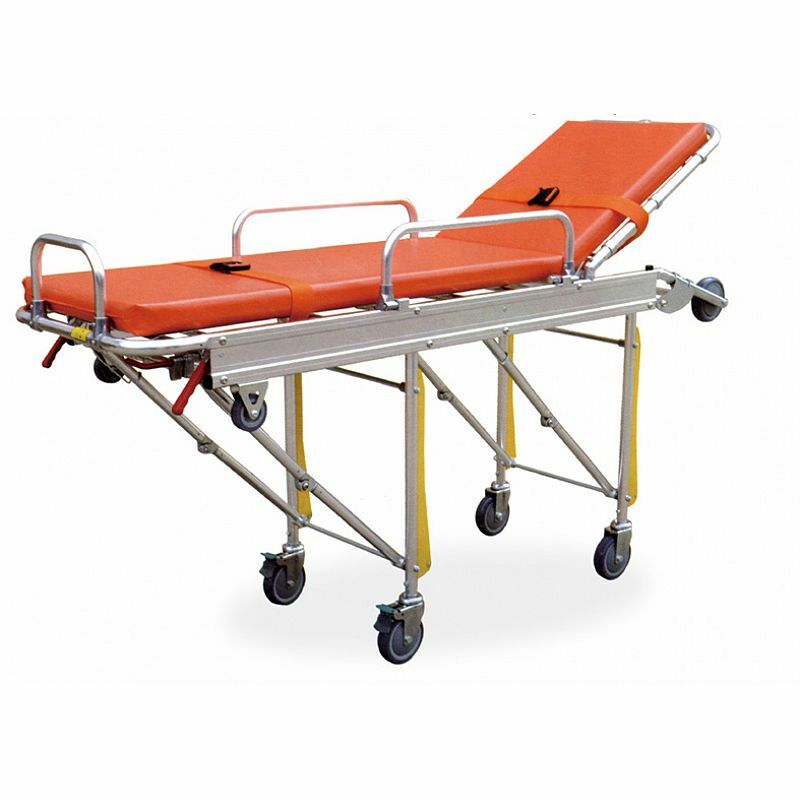 This type of Aluminum Alloy Automatic Loading folding stretcher for ambulance is characterized by its light weight, safe usage and easy for sterilization.